The protests, our civic duty, and I. As some of you are aware, I used to blog about Lebanese politics many years ago. It was around 2007 when I not only stopped blogging on Lebanese politics but turned a blind eye to it in general. It was feelings of despair, anguish and pain that lead me to stop. As I witnessed the country not moving in a positive direction and history repeating itself, I lost all hope of a better future. For years, I constantly wondered what kind of tipping point does the population need before they come out and say enough is enough. When I moved here over a year ago, I wasn’t oblivious about the situation and I was fully aware of how I had to adapt in order to survive in the country. The electricity cuts? No biggie, subscribe to the neighborhood generator. No water? No biggie, call for water delivery. No drinking water? Buy bottled water. The list goes on and on. I am aware how fortunate I am to be able to pay for these extra services compared to a large part of the population who don’t have the similar advantage. Another advantage I have, is that I live here by choice. My own family don’t even live here. I also have another passport so I always have the option to pack up and move to a country that provides me with such basic necessities. I choose to be here because I romanticize about this country. However, during the past year, I witnessed the situation immensely deteriorate. The electricity cuts increased to the extent that at one point last month, I only got 10 minutes of electricity during 3 days. The neighborhood generator couldn’t handle the increased pressure and was no longer providing me with the ampere I had subscribed for. In order to switch on my washing machine, I had to switch off my fridge and air conditioning during a heat wave. To add to that, garbage was being burnt in my neighborhood. This is when my frustration hit. This is not a life I want to adapt to and no one should adapt to such an intolerable situation. Who knew the tipping point would be garbage? It makes a lot of sense though. The stinking garbage is in your face and we don’t have adaptive solutions for it like we do with electricity and water. 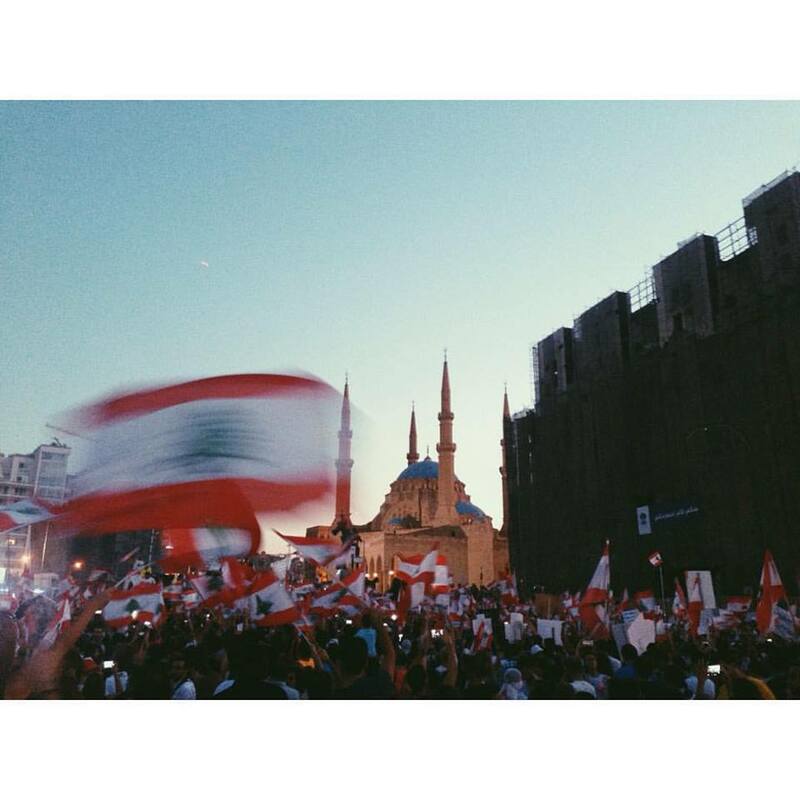 This is why when the YouStink people took to the streets I joined them. During the past couple of weeks I have been criticized and gotten into debates on whether it is right for me to take to the streets with this movement. In all honesty, the tens of thousands of people who have been taking to the streets have been doing so because they too are fed up of the situation, because they too want things to change. They want their basic rights. Yes, basic rights. It is your basic rights to have electricity, water, and a non-corrupt government. Most importantly, everyone at the protest was alive again and feeling hopeful, a sense we had long forgotten. I do want to build on this topic a lot further, but I have a feeling that in the coming weeks I’ll have several opportunities to do so, in addition to my opinion on the protests, and how the media have been handling the situation. What I do want to discuss now is our individual responsibilities. I don’t want to generalize but please do allow me to say, that us Lebanese have no understanding of individual responsibility or our individual civic duty. When the smoking ban was implemented, officials enforced it for a while, once they stopped or once they got bribed, most of us went back to smoking indoors. Everyone else is, so why should we not? We take pride in drinking and driving or multitasking while driving, so since no one seems to be enforcing the new driving laws, let’s just go ahead and do as we wish, because hey! we can!! Unfortunately, this is our behavior towards everything. For people who were not aware of the amount of recycling plants Lebanon has, I believe the past few weeks allowed the whole country to know that that option does exist. We can all start by recycling in our homes and offices. We can make a difference collectively. For all of you who have been going to the protests, for crying out loud, stop throwing trash, especially plastic bottles all over the ground. You can’t protest the garbage crisis and then leave the protest grounds in such a mess. Several volunteers have taken it upon themselves to clean up after you but it’s time you lead by example. Previous PostFarewell Baklava?Next PostI’m bipolar. So What?